“Selecting Top Stocks to Buy” is a series of articles written by us in which we have touched upon various steps required to be taken before an investor decides about investing in stock of any company. The series contains a few articles, each dealing with different aspect of stock selection ranging from attributes of a good stock investor to detailed analysis of companies. These articles, if read in sequence and implemented with diligence, would help any reader whether he is well verse with finance or not, develop a sound process of stock selection. However, each article is complete in itself. If a reader feels like going through a particular article out of turn, it would be perfectly fine, as it would help her get insights about the particular theme/step covered in that article. However, if you are new to stock markets and wish to learn stock investing holistically, I would recommend that you cover each article one by one in the sequence they are written. Is Stock Investing a form of Entrepreneurship? Are Your Stocks Losing Money While The Market Is Going Up? Common Mistakes done by Investors and How to Avoid Them? Can we Assess a Bank’s Financial Position from its Reported Financials? Asset Liability Mismatch: Why do NBFCs & Banks knowingly create it? How to Calculate Deferred Tax Assets? How to find out if a company has diluted its equity in the past? Is Industry P/E Ratio Relevant to Investors? What should be the Ideal Level of Promoters’ Remuneration? How should investors contact Companies/Management for clarifications or additional information? Elaborations about various aspects of our stock investing approach in response to queries asked by readers of our website over time. I wish you all the best in your investing journey! The article compares features of fundamental and technical analysis to help the reader make her choice between the two approaches. Comparative analysis of top-down & bottom-up approaches and growth investing & value investing approaches is done to explain clarify pros & cons of each approach to readers. The article helps readers to pick up an approach suitable to her interests, time availability and effort requirements. The article ends with the details of stock picking approach being followed by me: “bottom-up fundamental analysis approach in which I look for high growing companies available at attractive stock prices”. The article also provides reasons and thought process behind selection of the particular stock picking approach by me. The article highlights the comparative features of fundamental investing vs technical investing and elaborates my reasons for leaving technical analysis and choosing fundamental analysis as my preferred approach of stock investing. This part of the series elaborates the importance of filtering the universe of stocks before an investor decides to spend time analyzing any one of them in detail. The article highlights that on an average, any filter containing good selection parameters will screen out almost 99% of the companies available on stock exchanges. Therefore, the investor would have a manageable list of 1% of stocks, which she needs to study in further detail for selecting stocks for investment. The article provides list of different sources available to investors for shortlisting stocks like print or electronic media, local market places and online stock screening tools. This article explains the essentials of the framework to be followed while conducting detailed analysis of companies under different stock picking approaches available to an investor like technical analysis, fundamental analysis and within fundamental analysis, growth and value investing approaches. The article briefly describes the steps I follow while doing detailed analysis of a company: financial, business & industry, management and valuation analysis. The article is dedicated to help the reader understand the ultimate source of information about any company: its annual report. It covers the various sources from where an investor can get the annual report of a company like company websites, stock exchange websites, financial websites or other paid sources. The article explains different section of the annual report and the way an investor should interpret the information provided in respective section. Brief details about sections containing vital non-financial information about the company and its guidance like communication from promoters and senior management, director’s report, management & discussion analysis, qualifications of persons in charge of the company and report on corporate governance etc. has been covered. The article explains to the reader about the important parts of the annual report, which contain vital financial information about the company like auditor’s report, balance sheet, profit & loss statement, cash flow statement, notes to financial statements and related party disclosures. The article helps the reader gain an insight into the annual report and enables her to learn about different sections of the annual report to be referred to find out desired information. The article covers in the step to be followed while doing in-depth financial analysis of a company. It explains in detail about different parameters, which an investor should use to access the financial health of the company and its business. The article demonstrates the financial analysis by using data of different companies being traded on Indian stock exchanges. The article provides the threshold values of the eight parameters that an investor must analyse before concluding about financial status of any company. The article provides the reader with threshold values of all the parameters that should be used by the investor while doing detailed valuation analysis of the company. The article also introduces an important concept of Margin of Safety to the reader. This article is an attempt to help the reader tread on a guiding path to determine the right price i.e. P/E ratio to be paid for a stock. The article attempts to determine a few of the factors that influence the P/E ratio of the stock and tries to bring a some objectivity to the approach of determining the right P/E ratio that the investor might be willing to pay for the stock. The article focuses on the key criteria that an investor should look at while deciding about the P/E ratio (premium or discount) that she may pay for any company. These criteria would help her in deciding about the maximum P/E that she may pay for a company, which she has initially bought at very attractive levels but the stock has now increased in price and P/E ratio. This would also help her in deciding her strategy for accumulating stocks which are already existing in her portfolio. The current article is an attempt to put in perspective the odds of success and the hidden risks that investors face while investing in high P/E stocks. The article highlights that an investor should focus on finding fundamentally sound companies available at low P/E ratio and avoid buying companies with high P/E ratio. If an investor is able to follow this approach and find a handful of stocks over her lifetime, then she could expect to have the odds of the market turned in her favour. In this way, she can expect to generate significant wealth from stock markets without losing her peaceful sleep. This article highlights that stocks with high P/E ratio offer limited return with high risk. Stocks of companies with low P/E ratio offer potential of high returns at low risk. The article also stresses that low P/E ratio should not be the only criteria for selecting a stock for buying. Investors should focus on finding a conservatively financed, fast growing company available at low P/E ratio. The company should be a fundamentally strong company, which is yet to be recognized by the market. It has to meet all the criteria of the checklist for buying a stock. This article covers the tools that an investor can use for assessing the business & industry analysis of the company, in which she plans to invest. Business & industry analysis is one of the most contentious areas where two persons rarely agree upon a common conclusion regarding the prospects of any company or sector. Therefore, the article helps the investor to prepare a framework within which she can analyse the company and arrive at a decision about the company. The current article is an attempt to elaborate on relevance of Industry P/E ratio in the stock analysis. The article also guides the readers on the importance and usage of Industry P/E ratio in selection of stocks for investing. This article focuses on the reasons why I believe that analysis management is the most important aspect of stock analysis. This article gives examples of various companies like Gujarat Automotive Gears Limited where the management has been taking the past, present and future profits of the company away from the minority shareholders. This articles aims to help readers in finding out various methods deployed by companies to manipulate their earnings, cash flows and balance sheet metrics. It helps the reader through the key parts of their disclosures, which could have directed a discerning reader to the gimmicks played by the management. This article is a compilation of all the checklists, which have been described under detailed analysis of financial, valuation, business & industry and management aspects. This is a checklist which is would come very handy for any investor while doing stock analysis. You may share this article as a summation of all the learning of the entire series “Selecting Top Stocks to Buy”. This article contains a guide to 5 simple steps, which help an investor gauze the level of operating efficiency that a company has displayed in the past. Operating efficiency forms an important parameter to evaluate the performance of any new investment opportunity as well as for monitoring the ongoing performance of existing portfolio companies. Analysis of operating performance helps an investor to differentiate a good performing stock which sound underlying business practices. If followed diligently, the steps shared in this article can help an investor in finding out the red flags of accounting manipulations by unscrupulous companies. I believe that analysis of a company on the parameters shared in this article is essential before an investor commits her hard-earned money to any stock. SSGR is the measure of the potential of a company to which it can grow in a debt-free manner. We notice that there are certain companies, which keep on growing with deploying funds from internal accruals whereas there are other companies, which regularly need to resort to alternate sources of funds like debt & additional equity to finance their cash-flow requirements. SSGR parameter helps us identify, whether any company has the ability to sustain its growth by using cash generated from its profits. The article elaborates the method of SSGR calculation and its successful application on multiple companies belonging to diverse industries. SSGR can serve as a useful guide and an additional parameter for stock selection for a fundamental investor. This article aims to highlight the need for having an appropriate number of stocks in an investors portfolio. The article guides an investor to decide the suitable number of stock for herself by explaining the lower and upper limits to the number of stock in a portfolio. The investor would be able to understand the benefits as well as pitfalls of increasing the number of constituent stocks in her portfolio. Effective monitoring helps an investor to be on top of the stocks in her portfolio and avoid surprise development, which might lead to erosion of the wealth created by her carefully screened portfolio. This article focuses on understanding the key information contained in the quarterly results published by companies and their interpretations. The articles is aimed at helping the reader to develop a framework in getting the critical information from quarterly filings within a short amount of time. Notes to the results: read all the points in the notes carefully to understand developments related to key aspects of company’s developments. The article highlights that an investor should develop a stock picking approach suitable to her with her own stock picking criteria and do valuation analysis before buying a stock. Once she develops the habit of analyzing each stock in detail before she invests her hard-earned money, she would be confident about her decision of buying any stock. The hard work and time invested in analysis would help her maintain a stable view towards her stocks. She would not fall prey to emotions of fear & greed and would be able to think like a business owner and focus on long-term wealth creation. This would enable the investor to hold on to her stocks though out the times of distress and exuberance. In the end, it is important for an investor to differentiate between buying & holding a good investment and keeping a poorly performing stock with wishful thinking of seeing its revival. The investor should have a methodical approach to screen her portfolio and get rid of poor stocks so that her time & effort as well the hard-earned money is spent on fundamentally sound stock, which have the potential to create long-term wealth for her. This article helps an investor with the guidelines to find out potential ‘sell’ candidates in her portfolio. This article talks about the key challenges faced by retail investors who have a daytime job and also explains the key advantages, which retail investors enjoy viz-a-viz institutional investors. The article elaborates the ways in which retail investors can overcome their limitations and build upon the advantages available to them. The article explains the key features that retail investors should look for in the stocks, which would be suitable for them considering the constraints faced by retail investors. I have been going through the various articles posted on your blog over the past year and have been asking queries from you as well. Thanks for your time and patient hearing always. 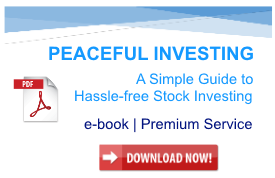 Your approach to investing is really “Peaceful” powered by strong filters you have on management, financial, business, and most importantly valuations. I have numerous queries associated with various articles on your blog, which I wanted to discuss. Some of them may be repetitions; however, I request you to provide detailed answers as always. Market Capitalization > ₹25 cr. Your approach is to find companies with demonstrated history (7-10 years) of good financial and business performance with impeccable management quality trading at a PE ratio of less than 10. Your basic premise here is that the historic good performance of such companies is expected to continue in the future as well. How do you arrive at the expected performance part of the analysis, as I understand you do not do any future forecasts / DCF valuation etc.? Mayur Uniquoters Ltd and Ambika Cotton Mills Ltd have definitely been good picks based on your peaceful methodology. However, the revenue growth has slowed down in the past 3 years although the 10-year CAGR is still good. 2) Are we able to find investment opportunities in the current market scenario? This approach has definitely helped you build a rock-solid portfolio. However, if I am not mistaken, you had spotted these companies during 2011-2014 when the valuation comfort was definitely there. For a relatively younger investor who wants to start investing now, valuation comfort does not appear to be there. In fact, the valuations specifically in the mid/small cap space have started soaring 2014 onwards (a market-wide re-rating a.k.a. Modi rally). Essentially, what I am trying to say is that you need to sow the seeds during the bear market and for that the wait might be longer. 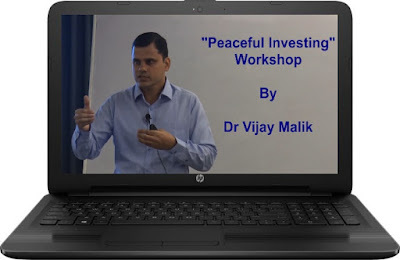 I do not know if you are able to find investible stories in today’s market where the approach is fully consistent with your peaceful methodology, especially the valuations part of your detailed investing approach. I also understand from your various articles that you do not pay too much heed to short-term performance (good/ bad) while finding investible stories. Therefore, the popular theme of finding stocks whose businesses are at the so-called “inflection point” or has just posted the first good quarter/ financial year after a long history of poor performance such as Avanti Feeds Ltd posting significantly high revenues and net profit in FY12, does not work for you as you look for 7-10 years of good performance. Similarly, there could be situations where the current earnings are close to NIL or negative and therefore PE ratio would be very high or rather infinity and fund managers justify buying saying that the company is on the verge of major change in its business profile and the high PE ratio would be normalized once earnings kick in. I would tend to think that you would not like such stories. Is my understanding correct? Even the popular theory of justifying the valuation of stocks with 20-30-50 PE ratio by saying that if a 20 PE ratio stock is expected to grow its earnings by 100% in one year, the effective PE ratio that an investor is paying is 10. This does not work with you as far as I have observed you. Many fund managers justify buying stocks with high PE ratio by giving this argument. Have you bought any stock where you do not see the margin of safety i.e. earnings yield less than 10-year G-sec yield? The current G-Sec Yield is 7.8%, which translates into a maximum PE ratio of 12.8. I know you recommend paying a bit premium for stocks, which come under your circle of competence and where SSGR is good. However, there also, you have strict limits. Do you try to justify the valuation by looking at other parameters such as Price to Book Value, Price to Sales, EV/EBITDA, and Industry PE ratio when you are not comfortable with the high PE ratio of a company? Have you taken any buy decision based on that? 7) Are we currently buying stocks, which are in our valuation range including existing stocks in our portfolio? While I understand “Follow My Portfolio” is a premium service, could you please let us know the number of companies that you have in your portfolio today excluding Newgen Software Technologies Limited? Are you currently buying stocks, which are in your desired valuation band (including existing portfolio stocks)? Do you document all the analysis that you do i.e. stocks that you have rejected and documented why you have rejected them? Similarly, do you document notes for exited and bought stocks? Do you have any negative list of sectors where you will not waste your time in analysing the stocks? I know you do not like cyclical businesses where revenues and profitability fluctuate a lot even though 10-year CAGR of both revenues and profitability are decent. What is your workflow for finding new ideas? Screener alone or any other source as well. Do you read all BSE announcements on a daily basis to find new ideas? Alternatively, are you happy with one idea a year aided by online screeners followed by rigorous analysis? I know you do not focus on return on equity (RoE) and return on capital employed (RoCE) and instead focus on SSGR. Can one use RoE x Earnings Retention rate (where equity is the beginning value of the equity and not the average) as a proxy to SSGR (the way you have shown on your blog)? Are both these ratios the same? Tools for research: Annual Reports, Quarterly Results, Earnings conference call (Concall) Transcripts, Credit Rating Reports, and Industry Reports. What else? Do you prefer one to one conversation with the management or rely solely on what is available in the public domain? In case of any doubt, do the company secretaries of the stocks under your research universe respond with satisfactory answers? Any newspaper, trade journal, or magazines that you think have helped you. How much time do you take in general to complete your analysis? I understand that you like to read the annual reports up to 10 years ago and go through the recent concall transcripts. For Bodal Chemicals Ltd, I noted that you went back to as old as for December 2012 quarterly conference call (concall) transcript. Do you read all quarterly transcripts? On the other hand, was this more for investigating dip in operating profit margin (OPM) during FY12? I know quantifying time for analysis is quite subjective and depends on one’s intellect and availability of resources. Still, I would like to know how many days/hours on an average you spend after shortlisting a stock for detailed analysis? During the long analysis phase, do you worry about the valuations and likely miss of opportunity particularly in a rising market? You recommend that one should first buy the stocks currently in the portfolio if they come in the desired valuation band. Do you re-do 7/10 year analysis while buying again? Why I am asking this is the stock could also be trading in the desired valuation range because the market participants believe that the growth has peaked. What are your views on the market value created per INR of retained earnings by the company? Here we are factoring in the increase in market cap for every rupee retained. Increase in market cap is a function of the market price of the stock. While we are trying to find good stocks, which are not yet recognized by the market, why are we looking for the increase in market cap? This ratio could well be less than one as the market may not have recognized the stock yet and that should be the desired case. Isn’t it? Thanks for writing to us! We appreciate the efforts put in by you in reading most of the article of our website and in the attempts to assimilate our investing approach. The shortlisting criteria/filtering criteria are used as a tool to narrow down the list of stocks for analysis. We keep on tweaking the parameters depending upon the results provided by the screening tool. Moreover, we do not prefer to keep a strict valuation parameter in screening filters. This is because in case an investor puts a valuation parameter as filtering criteria, then there might be some good stocks just above her comfortable buying range, which she will never get to know about. We do not do future projections. If we are able to convince ourselves that the good past performance is because of efficiency and competence of the management and not merely due to luck/tailwinds, then we rely on the promoter/management to keep doing the good work that she has done in the past. Having financial data & annual reports of the last 7-10 years provides us with a business performance history to make this judgment. Until now, we have not faced a situation where we have surplus funds and we are not able to find a stock to invest in. As mentioned in various articles on our website and well identified by you, we prefer first look at opportunities in the existing stocks in our portfolio. We have been investing regularly ever since we started building our current portfolio in 2011, including in today’s times. As rightly mentioned by you, the “Follow My Portfolio” service is a premium service. Therefore, the details of our portfolio including the number of stocks are available only to the premium subscribers and we would not be able to disclose this information. In our investing journey, we have found that if any stock in our existing portfolio undergoes a bad business period, then we are able to take an informed decision about its future. Increasing our position in those stocks in our existing portfolio, which are facing headwinds has been a very good investment strategy for us. We could increase our position with confidence in such stocks in our portfolio because we had analysed them in-depth before the first purchase and in addition, we had further improved our understanding of their business by learning more about them as a part of monitoring exercises. Until now, we do not find similar confidence in our decision making when we find any stock, which is going through a bad patch but is not a part of our existing portfolio. One reason may be that it takes us quite some time to analyse and then build confidence in our decisions about any stock. Therefore, until now, we have not invested in stocks facing headwinds. However, we all mature as investors with time & experience. Moreover, if in future, we believe that we have gained enough competence to decide with confidence about the future course of any company, which is currently facing challenging times, then we may start to look at the segment of turnarounds. However, as of now, we avoid investing in stocks outside our portfolio, which are facing rough patches. Advised reading: How to do Business Analysis of a Company? We do not use parameters like Price to Book, Price to Sales, EV/EBITDA, and Industry PE ratio in our investing approach. We do not document the stocks that we rejected or sold. Moreover, as we have a concentrated portfolio where only a handful of stocks have been added or sold over past many years, therefore, it is not difficult to remember our reasons for purchasing or selling any stock. We do not differentiate stocks based on sectors and therefore, we do not have any negative list. Different stocks in the industries behave differently. We have noticed outliers in supposedly cyclical industries displaying stable profitability margins. This is one of the reasons that we prefer bottom-up approach to investing and not the top-down approach. We use the screener to find investment ideas. We do not read BSE announcements on daily basis for all the stocks. We follow announcements for stocks, which are in our portfolio as part of our monitoring exercise. Annual Reports, Quarterly Results, Earnings Concall Transcripts, Credit Rating Reports are usually sufficient resources. Additional resources should be referred to get answers to any queries, which are not resolved by reading these documents. We have experienced that company secretaries provide satisfactory answers. However, it may need a follow up on her queries by the investor. We prefer reading Mint, ET, Forbes, Fortune etc. However, they are not indispensable. We usually take a negative decision about any stock within a few seconds/minutes. Our stock analysis excel template, which presents the financial data of any stock from Screener in our preferred format like dashboard helps us in taking quick decisions especially about finding strength and issues in the company’s financials. Whenever a stock shows promise initially and we start analysing it in detail, then the time spent in the analysis varies. It might be that after analysing it for a week we may come across some factor, which makes us decide against investing in the stock. Otherwise, usually a week to a month’s worth of analysis time may be needed for any stock to get an entry in our portfolio. While analysing stocks for inputs to readers in the form of an article on our website, it usually takes about 7-10 days to analyse the stock and write the article. We do not think about valuations/opportunity cost during the analysis phase in a rising market. Incremental buying decisions are based on our conviction and views about the stock based on updated information as it arrives in the form of regular results/events. This information is added to the insight/knowledge that we have about the stock from our previous analysis. It does not take us weeks or months in the analysis before taking the decision to put additional money in existing stocks in the portfolio. You are right that for a stock, which is unrecognized by the market, the market value created may be less than retained earnings. Therefore, if we find that a stock meets all our parameters, then we may remain indifferent to the market value created until now. Hope it answers your queries. Once again, we appreciate the time & the effort taken by you to go through all the articles of the website. In future, I would be writing more articles about stock investing, monitoring and other aspects. Therefore, you may like the blog’s Facebook page, subscribe by email or follow the RSS feed so that you would immediately get to know when new articles are published on the blog. Please provide your feedback on the blog and this series as comments or you may contact me here. PrevPrevious ArticleWhy I Left Technical Analysis And Never Returned To It!